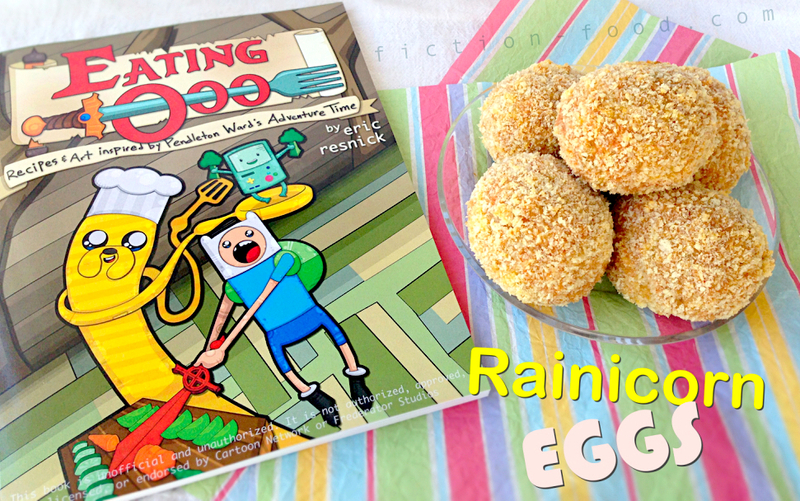 Eating Ooo: Recipes & Art Inspired by Pendleton Ward's Adventure Time by Eric M. Resnick is a love letter to the awesomeness that is "Adventure Time". At 104 pages, this unofficial, CreateSpace published paperback features not only fun recipes for foods from and inspired by the show, but also a plethora of fan creations like plushes, figures, wood burnings, and more (plus a few Jazwares items). Eating Ooo came out in February (2014) and contains 38 unique recipes and 30 non-food contributions. 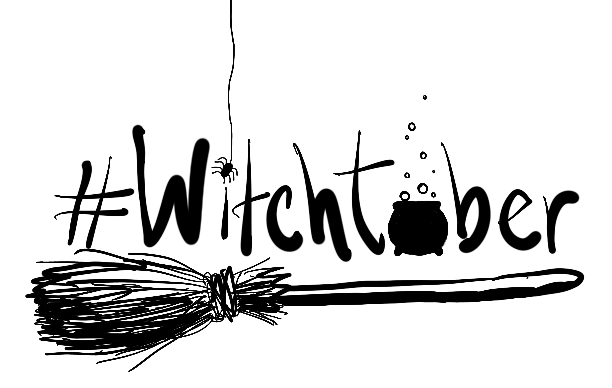 The table of contents and book itself are set up by course (breakfast, lunch, dinner, etc.) and each course section is color-coded (yellow for breakfast, blue for lunch, etc.). 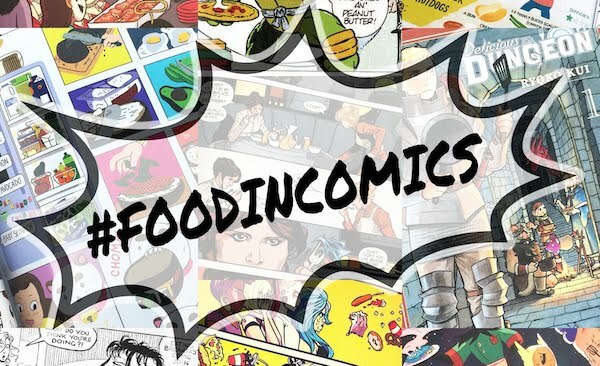 The recipes are easy to follow and have accompanying blurbs about where the food or its inspiration can be found in the series. All of the art etc. are noticeably credited so you can find the creators online (like Matt Blank who did the cover artwork, available as a $20 print in his Etsy shop). Two issues that had me goin' "aw, that's too bad" were poor lighting for many of the photos and no non-alcoholic subs for the few recipes that call for alcohol. The latter stood out because I got the family/kid-friendly vibe from the introduction right before I dove into the recipes, and the photo issue snagged me because I've gone through so much headache and learning of my own–and continue to do so!–with the picture taking for this blog. These points are in no way deterrents from the heart of the book though. 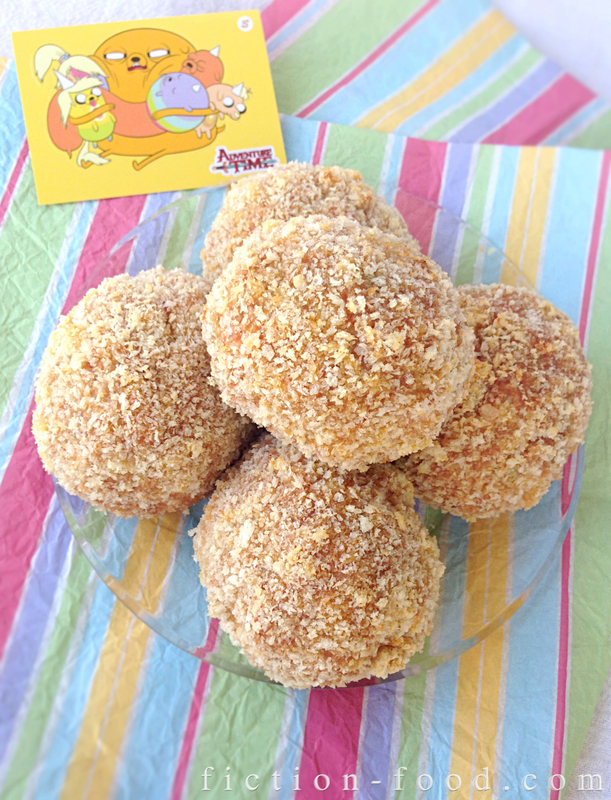 Eating Ooo is definitely a good buy for fans of "Adventure Time" because it's filled with clever and unique recipes–many of which I'm sure required hours upon hours in the kitchen to perfect–alongside fan-made creations crafted with talent and feeling. Note: The recipe below is from the cookbook's lunch section. I chose Rainicorn Eggs because 1. Easter is on Sunday and you can use your peeled, hardboiled Easter eggs in the recipe and 2. because kimchi is one of the ingredients and you can homemake your own kimchi from Monday's post! (Store-bought is fine too though.) Eric notes that while it is unknown if Rainicorns lay eggs, eggs and kimchi are fitting ingredients to symbolize Jake and Lady's babies (kimchi is Korean and Jake likes eggs). 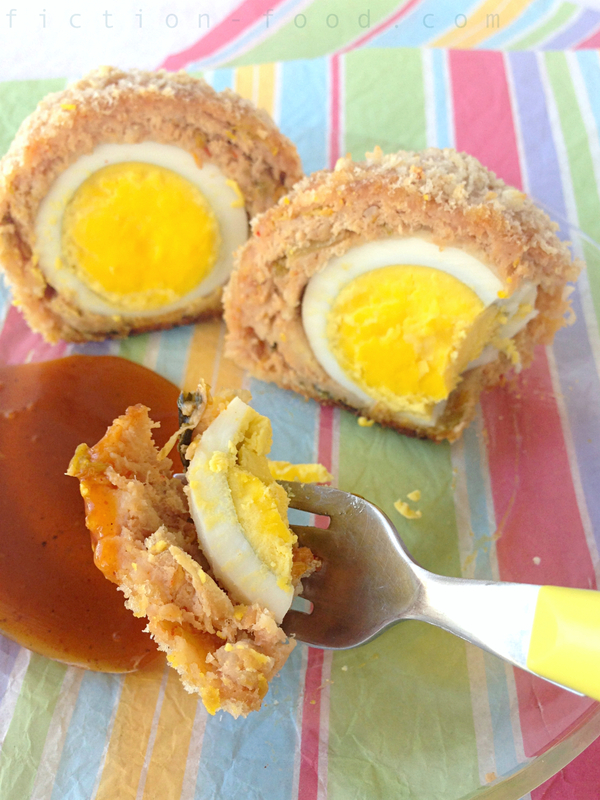 The recipe is a variation on Scotch eggs which you might remember from last year's post on The Official Narnia Cookbook. Also to note, the directions below are in my own words to include my input & experiences. 1. Pre-heat your oven to 350ºF. Place the kimchi in a food processor (or chop it well my hand), draining it a little before hand, & chop it until it's in small bits. In a medium bowl, mix the kimchi with the ground meat using your hands until the kimchi is evenly mixed throughout. On your counter set up an assembly line of separate containers: hardboiled eggs, flour, meat mixture, beaten egg, & then panko crumbs, with a foil or parchment paper lined baking sheet at the end. 2. 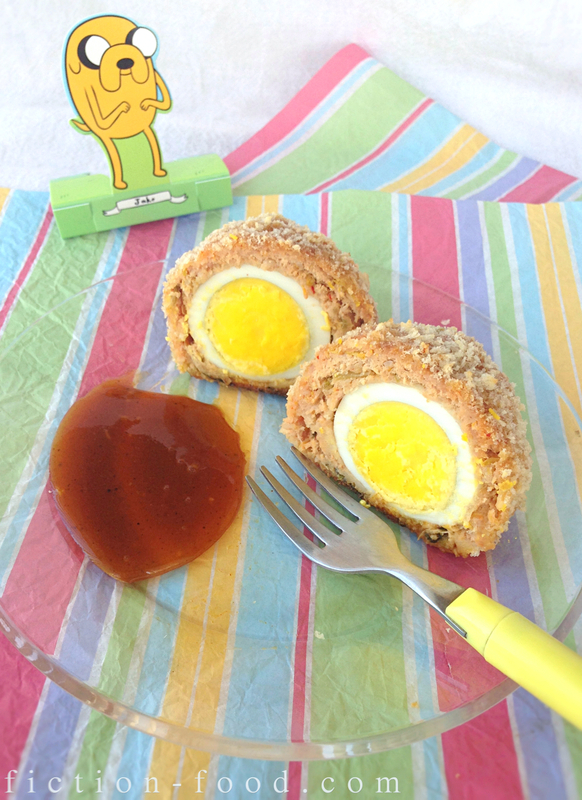 Pick up a hardboiled egg, roll it in flour, & then wrap it with meat to about a 1/4" thickness. 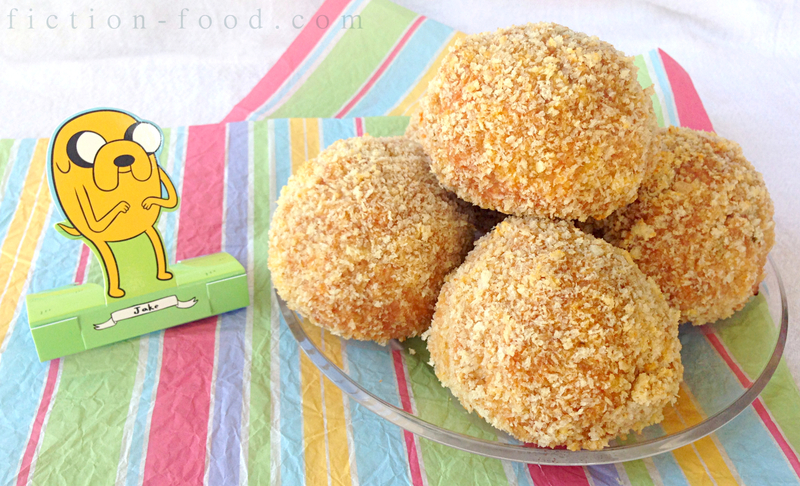 Next, dip it in the beaten egg until all sides are covered & then roll it around in the panko crumbs. Lastly, place it on the baking sheet & then start on the next egg. Continue until your meat mixture is used up. Place the tray in the oven & bake for 35-40 mins (a little longer if you have over 6 eggs) or until slightly golden & the meat is no longer pink. Remove from oven & serve warm. Excellent with your fave dipping sauce (mine's a sweet German curry catsup). Suggestion: Deep frying these bad boys lessens the cook time considerably. If you have a little Fry Daddy, use it. Cook the wrapped eggs for about 3 mins until they're a nice golden brown. Or you can heat about 1/2" oil in a pan & cook for about 2 mins per side, checking to make sure the meat is cooked through. Jake stand-up & Jake the dad card (further up) are from Cryptozoic's "Adventure Time" PlayPak collection. 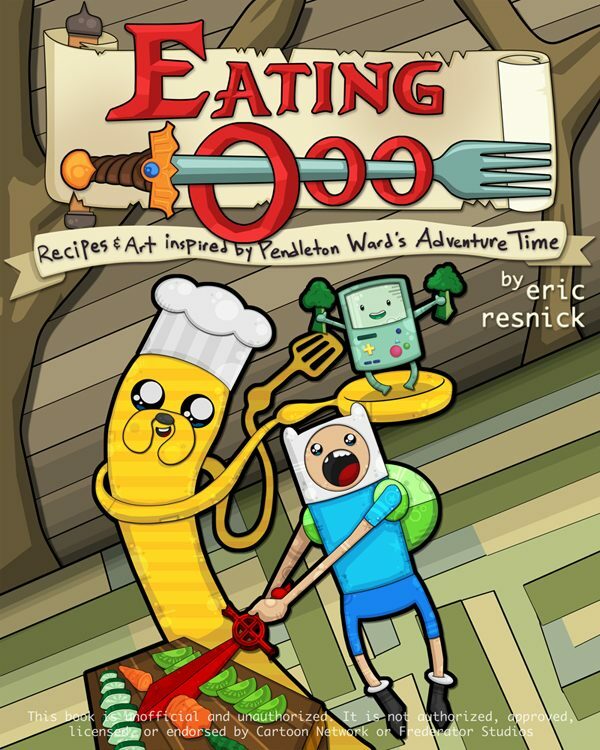 * Eric Resnick is an editor at YouBentMyWookie.com where a giveaway for a signed copy of Eating Ooo is currently going on (ends 3/5/14)! For more about Eric and Eating Ooo click here to read a fun interview on Food Republic. OH MY GOODNESS!! I must try this. Love both of your pages. Found Book Adventures while searching for Narnia tea recipes for an upcoming post on my blog. Browsing some more. Thank you for visiting! I love Narnia AND tea so I'll look forward to your post!